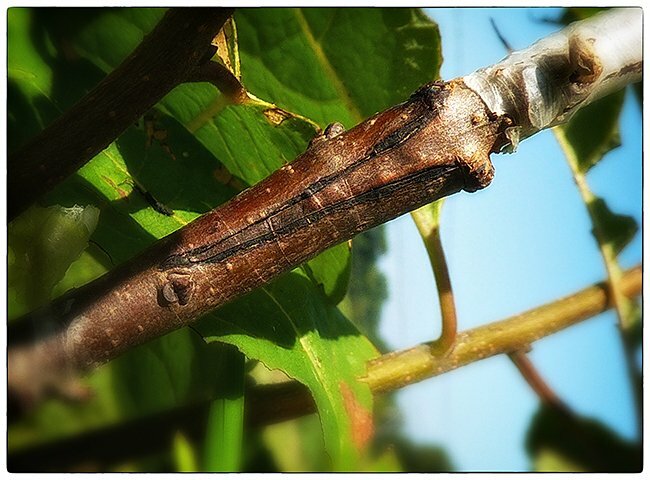 In addition to grafting the fruit trees we sell, we also offer custom grafting services. We will graft any variety available to us onto your desired rootstock of choice. If we don't have your variety in stock, we will find it for you. We cannot and will not graft patented club varieties. 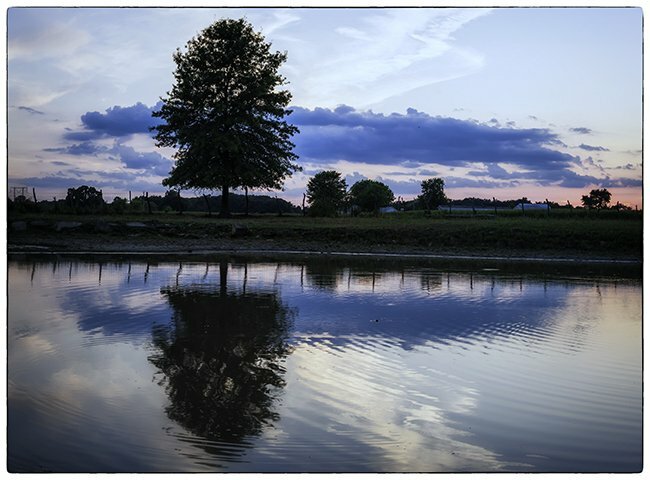 After grafting a tree, it takes a few months to know if the grafts successfully took, you can take the risk and plant your tree in the spring or we can raise it in our nursery through the summer and deliver it to you in the fall. If you find yourself unable to plant your tree then, we can hold it over winter till spring or even next fall if you need us to. We grow our own plants, on site, outdoors. These plants are better adapted to our local climate, so if a plant is doing well at our nursery, then it should do well in your Illinois landscape. Eggs from birds fed corn, have one-tenth the omega-3s in them as eggs from free range birds that eat greens and bugs. The beauty of buying straight from us affords you the luxury of asking about the health of the birds, how often they have access to pasture and what they are fed as a supplement. Being pasture raised, our birds forage for fresh grass and insects. They spend their days foraging around the pasture and taking dust baths to stay clean. The grass diet helps give the yolk a deep orange color. The healthy orange of an egg yolk is a good indicator of a pasture fed hen. In the spring time, eggs are at their nutritional peak, containing more vitamins and nutrients. 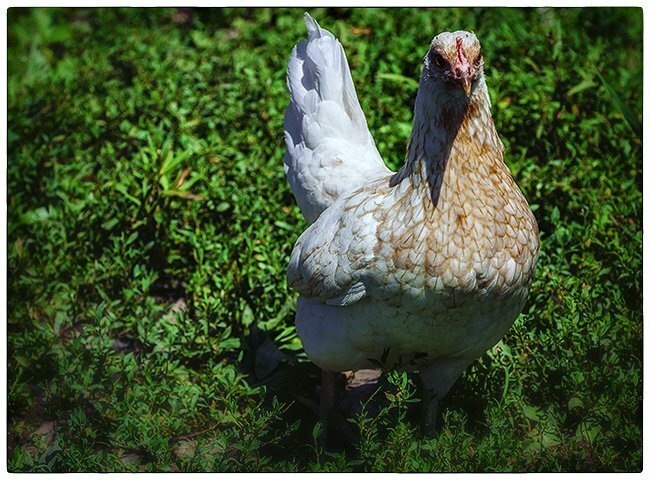 From blooming buds to microbial bugs and earthworms, pasture raised chickens enjoy their buffet. Our main goal is growing plants for food, which means we have to take very good care of them, keeping them disease free. We have no interest in selling sick plants, we want everyone to be able to grow and eat their own locally grown produce. Cattle, like sheep, deer and other grazing animals, have the ability to convert grasses, which humans cannot digest, into flesh that we are able to eat. Putting beef cattle in feedlots and feeding them grain may actually be one of the dumbest ideas in history. Unlike cows in a feedlot, animals on a pasture move around, this exercise creates muscle tone and the resulting beef can taste a little chewier than many people prefer. 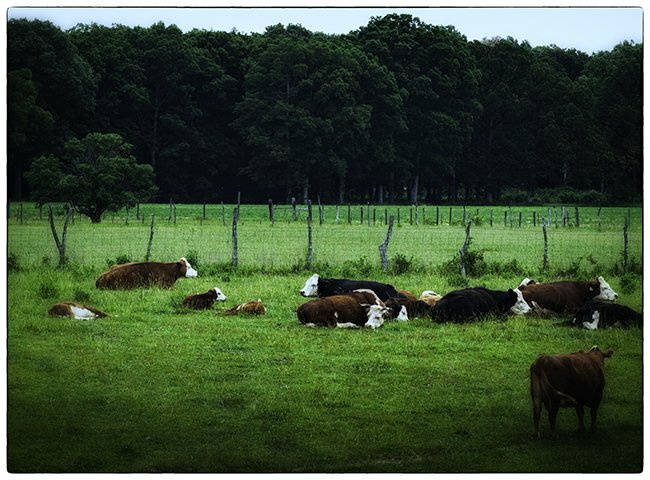 It takes a lot of grassland to raise a grassfed steer. If you are interested in grafting your own fruit trees, you must obtain healthy, viable material from our collection. We are only selling pieces of wood containing buds, you have to graft them yourself or have someone graft them for you. When purchasing fruit trees from a nursery, always make sure you know the type of rootstock the grafted tree is growing on. The type of rootstock determines the nature of the fruit tree. We grow most of our fruit trees on standard rootstock, they can be pruned aggressively to maintain it as a smaller tree if desired. A dwarf rootstock will often bear within two years but will rarely live beyond 10 years, they require staking, are often not hardy enough for colder winters and do not tolerate poorly drained soils. Semi-dwarf rootstock is somewhat hardier, bears in three to four years after grafting and may produce a tree that lives for 15 or 20 years. Standard rootstock is very hardy, although the resulting grafted trees may take 5 to 12 years to fruit, they can live for more than 100 years.